You see stumps. We see mulch. The trees are gone, but the unsightly stumps remain. Not for long. 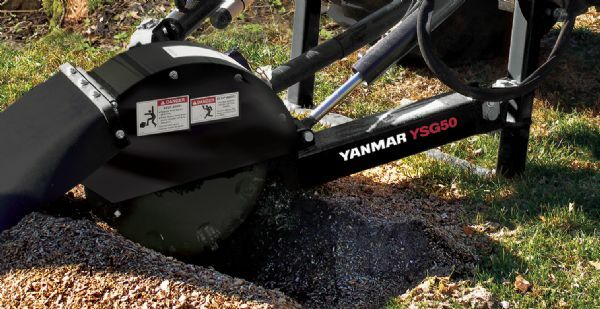 With this PTO-powered stump grinder, it takes just minutes to turn an ugly, useless stump into natural mulch that conserves moisture around trees and flower beds, reduces weeds and enhances the visual appeal of your property. And because the high-speed, toothed disk grinds deep below ground level to turn both stumps and roots into chips, it’s like the stump was never even there.